Just because Baby's big day is here doesn't mean you need to shell out the big bucks. Check out these budget-friendly first birthday party ideas that are guaranteed to make your bash a memorable one. 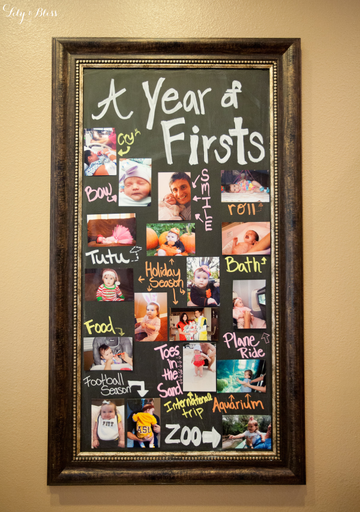 Keep your kiddo's 1st birthday decor super simple — and super sweet — with a framed photo collage of all their firsts. Not only is it adorable decor for the party, it's a beautiful keepsake you'll always cherish. Want to keep the budget to a minimum for your child's 1st birthday, and still have a stylish bash? No problem! You can make all the decor out of crepe paper (no, really). Napkin rings, lanterns, party favors — you name it! 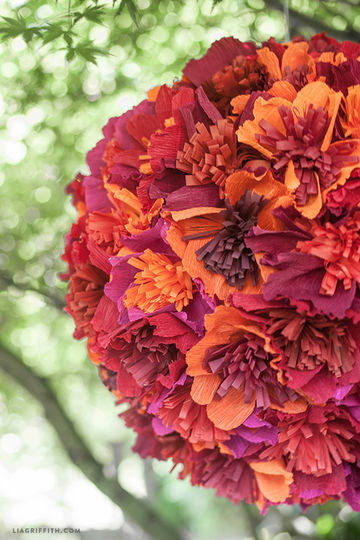 — can all be done with cheap, paper streamers, even this stunning centerpiece-worthy pinata. Chances are, there will be a few toddlers at the party in addition to the guest of honor. 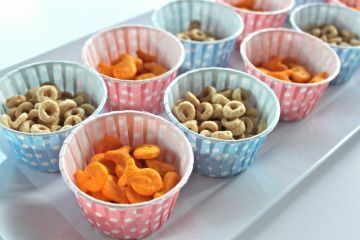 Cater to their culinary needs by displaying Cheerios, Goldfish, and other "pick-ups" in cute treat cups. It'll cost you next to nothing and look nice and polished. Few things are cuter than mini donuts (besides, of course, the birthday girl or boy), so why not make them part of the decor? 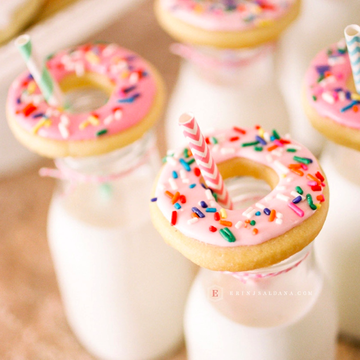 Slip a few mini donuts (or cookies that look like donuts) around a straw and glass of milk and you've got yourself some seriously cute party decorations that are impossible to resist. 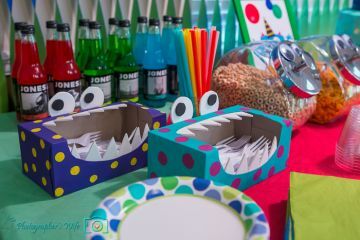 If you want to get theme-y, a monster bash is a fun way to go with tons of budget-friendly ideas. These cute utensil holders are really just empty tissue boxes. Clever! 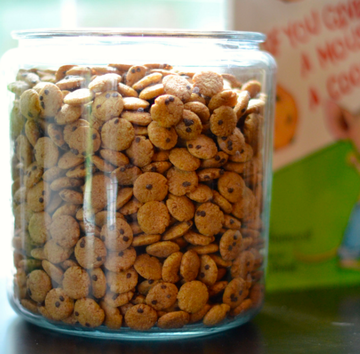 Whether you're turning one or 100, it's impossible to resist the tried-and-true combo of milk and cookies. And an added bonus? Neither will break the bank, making for a super affordable party theme. 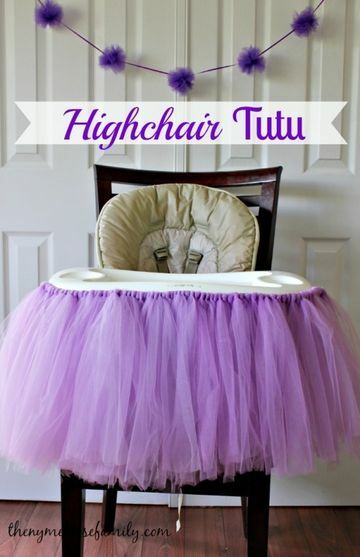 Up your smash cake photo op game with a no-sew tutu for your baby's highchair. The little ballerina in your life will look even cuter (if that's possible) sitting behind a big tuft of tulle. No baby, toddler, and possibly adult will be able to resist some good, clean ball pit fun. Simply add colorful balls to a blow-up kiddie pool and you've got hours of (cheap) entertainment on your hands.